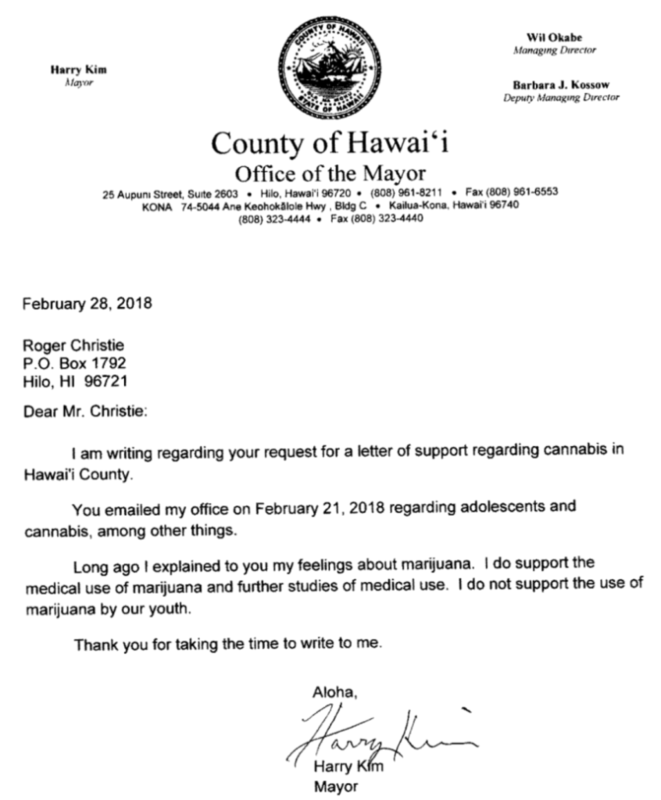 In a letter dated February 28, 2018, Hawai‘i County Mayor wrote to long time Marijuana Activist Roger Christie, that he does support the medical use of marijuana and further studies of medical use. I am writing regarding your request for a letter of support regarding cannabis in Hawai‘i County. You emailed my office on February 21, 2018 regarding adolescents and cannabis, among other things. Long ago I explained to you my feelings about marijuana. 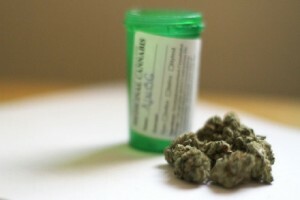 I do support the medical use of marijuana and further studies of medical use. I do not support the use of marijuana by our youth. Sens. Mazie K. Hirono and Michael Bennet (D-Colo.) urged Senate Committee on Appropriations Chairman Thad Cochran (R-Miss.) and Vice Chairman Patrick Leahy (D-Vt.) to include provisions that require the federal government respect states’ laws regarding the regulation of marijuana when finalizing fiscal year 2018 appropriations. Congress has until Friday, March 23, 2018, to craft final fiscal year 2018 appropriations bills. The majority of states, including Hawai‘i, have some form of reduced restrictions on marijuana. Recognizing this, under President Obama the Department of Justice has issued a series of guidance memoranda over the last several years outlining a federal law enforcement priorities that provided state and local governments and citizens a framework upon which citizens rely to establish legitimate businesses. However, on Thursday, Jan. 4, 2018, the Attorney General rescinded this guidance. The letter was also signed by Sens. Cory Gardner (R-Colo.), Dan Sullivan (R-Alaska), Cory Booker (D-N.J.), Rand Paul (R-Ky.), Ron Wyden (D-Ore.), Tammy Duckworth (D-Ill.), Kirsten Gillibrand (D-N.Y.), Robert Menendez (D-N.J.), Heidi Heitkamp (D-N.D.), Catherine Cortez Masto (D-Nev.), Ben Cardin (D-Md. ), Maria Cantwell (D-Wash.), Kamala Harris (D-Calif.), Elizabeth Warren (D-Mass. ), Tim Kaine (D-Va.), and Edward Markey (D-Mass. ).